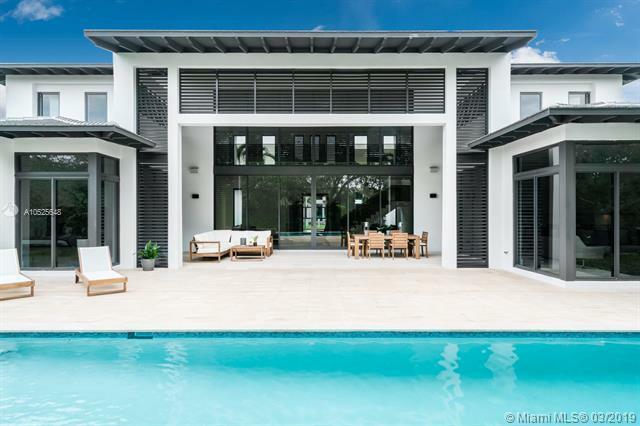 The impeccably designed two-story residence is in the premier community of Pinecrest Place. Situated on an expansive lot, the 6 bed/7.5 estate features a grand front door entry and limestone floors throughout. 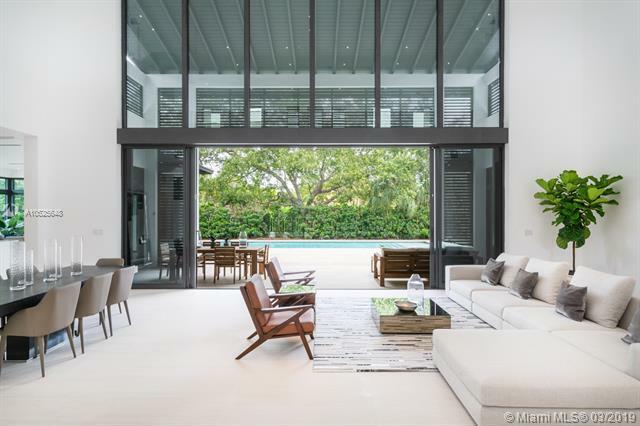 Masterful design and coastal contemporary architecture blend to create this beautiful 6,332 sq ft home in the heart of Pinecrest with tropically landscaped grounds, artfully configured interior spaces and custom finishes.